Loughborough Academy, the team that serves as competition programme for International Futsal Academy players, are making history after becoming the first ever Development squad to reach the FA Futsal Cup finals. And they did it in style, after beating one of the powerhouses in the FA Futsal Super League, Genesis Futsal Club. If you haven’t watched the game yet, you can find it here. It was one of those capable of hooking people into futsal. Genesis were euphoric after beating Loughborough Futsal Club, one of the references of English futsal and the team to which the Academy serves as Development squad. This was in the knockouts to reach the FA Futsal National League Grand Finals. One week later, in an epic game and against every bet in the UK futsal World, the Academy players stunned the London visitors, were always on top and resisted Genesis’ come back. Although the game went to extra time and the opposition was much more experienced, at the final whistle the scoreboard showed 7-6 for the youngest team in the FA National Futsal League system. The odds had already been against them in the previous two games against Super League side University of Nottingham and against South Division 2 runners up Kickers. The Students proved sceptics wrong in both then as well. This performance is the result of the extremely hard work that our players have carried out during the season. The training they do with us, at the International Futsal Academy, is guarantee of improvement in this sport. Our players have stepped up tactically, technically, physically and mentally. They’ve learned to compete and to trust themselves. Players with confidence in themselves are capable of everything. We do with them 4 to 7 sessions a week, we have for them the best coaching staff in Britain and we give them the Loughborough environment, which everyone knows is the reference place for sports people to keep developing […] If you recruit some of the best young players in the country, you give them the right environment, provide the most qualified and best coaches around, and you coach them for the amount of hours we coach them to the standards of quality we coach them, you will help them get to places. 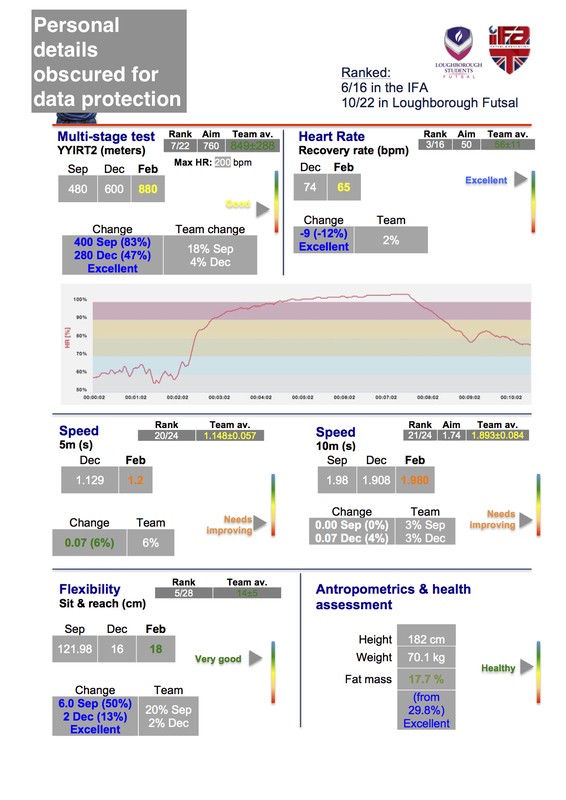 As part of the programme, IFA players have weekly led gym sessions, train on court 3 to 5 times a week, play up to twice a week (depending on the time of the year, and keeping an eye on the academic calendar), and are regularly tested in their fitness and health, receiving periodic reports on their performance, development and aims. The IFA is a great way to learn about futsal. It teaches not only how to play the game, but how to conduct yourself on and off court, it’s very professional based with lots of great staff who no matter what is always willing to help! The IFA have great coaches whom all offer great experience and knowledge about the game! For young players is a great programme to be involved with not only to improve as players people but as people! In the weekend of 17th and 18th of June, Loughborough Academy will face its greatest challenge ever. The best Loughborough performance in the competition, by the senior team, was reaching the FA Futsal Cup final and marginally losing 2-1 to Helvecia in 2008. 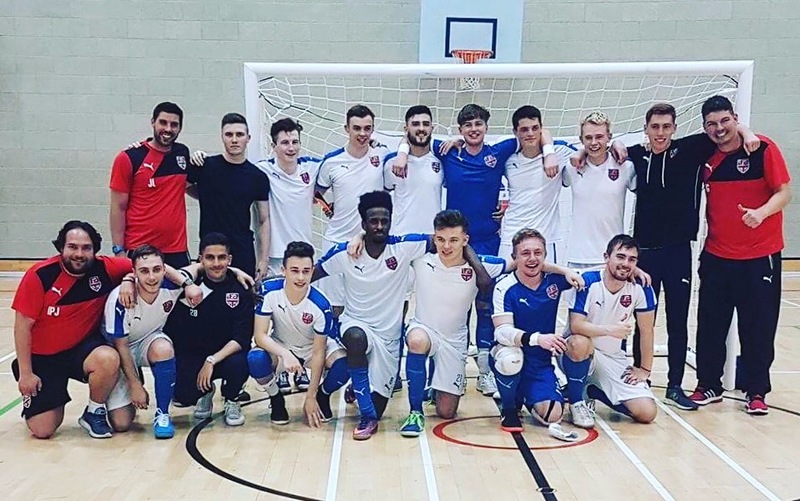 Three seasons ago, in a memorable season, the Students reached the semifinal both of the National League and of the FA Futsal Cup, losing both against Manchester Futsal Club. This is however the first time in the history of the competition that a Development team is within reach of lifting the trophy. Reaching the FA Cup Finals is a fantastic achievement by the squad, especially in the manner we did it with wins against Nottingham, Kickers and Genesis. It is testament to the efforts of the players this season and I am delighted they have got their reward. We set out to show what young English talent was capable of and I think they have shown that, now we look to prepare for the FA Cup Finals and do the best we can. Can these ¨kids¨ do the unthinkable and win the second most prestigious trophy in English futsal? Preparations are ongoing.